For two long range business jets, the Gulfstream G650ER and the Bombardier Global 7000 both offer multiple zone cabins, high-class amenities, and of course long distance reach. Although fairly similar to each other, the G650ER and Global 7000 have some differences that are important to note when choosing which to fly in. 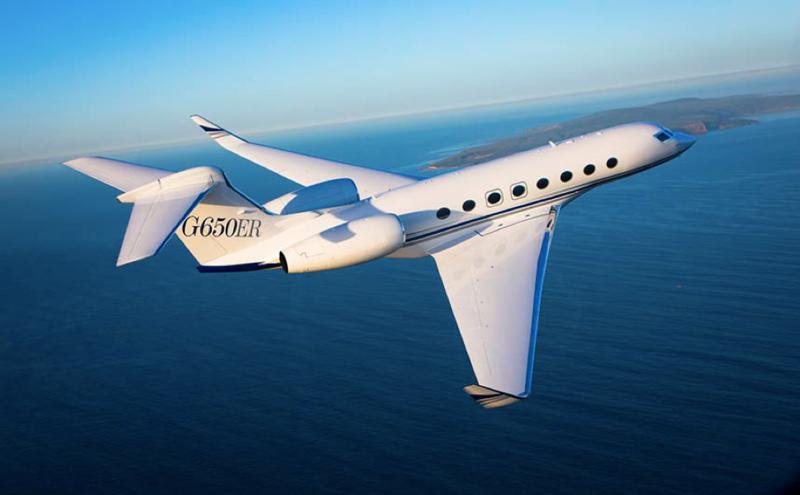 The G650ER can hold up to 19 passengers in an open concept cabin with no dividers. With 16 Gulfstream panoramic windows, lots of light flows into the 46-foot 10-inch cabin. 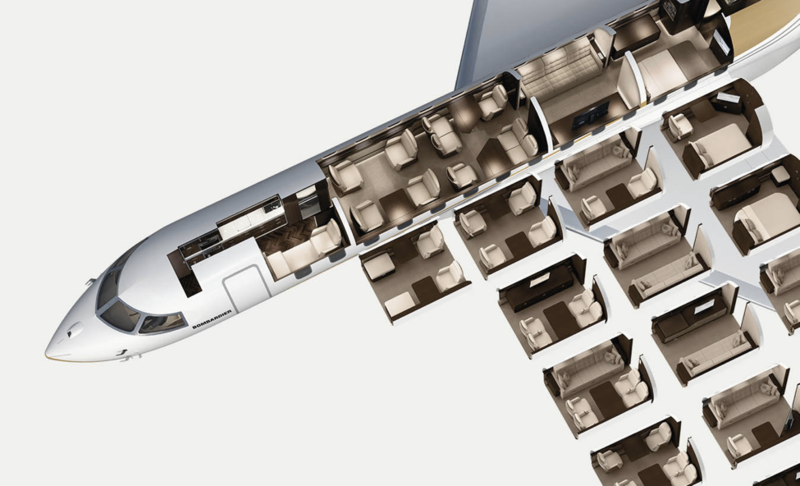 The Global 7000’s cabin is a bit longer at 54-feet 7-inches and features 28 large vertical windows. It can seat only 17 passengers, but features divided sections within the cabin for added privacy and enhanced business productivity. Including a master suite with an adjoining lavatory, the Global 7000 has a stand up shower, something the G650ER lacks. However, the Global 7000 has a fully enclosed dedicated crew rest area that helps to enhance comfort for the crew during long flights. The G650ER isn’t completely open concept, as it has a VIP cabin that is sectioned off and features one executive seat, divan, HD television and two windows. Additionally, both jets have the same capacity for baggage at 195 cubic feet. Capable of flying 100 miles farther than the Global 7000, the G650ER has a maximum range of 7,500nm but both jets fly at the same maximum speed and altitude. While the G650ER is powered by two Rolls-Royce engines, the Global 7000 features two GE Passport engines that received U.S. FAA approval in April of 2016. 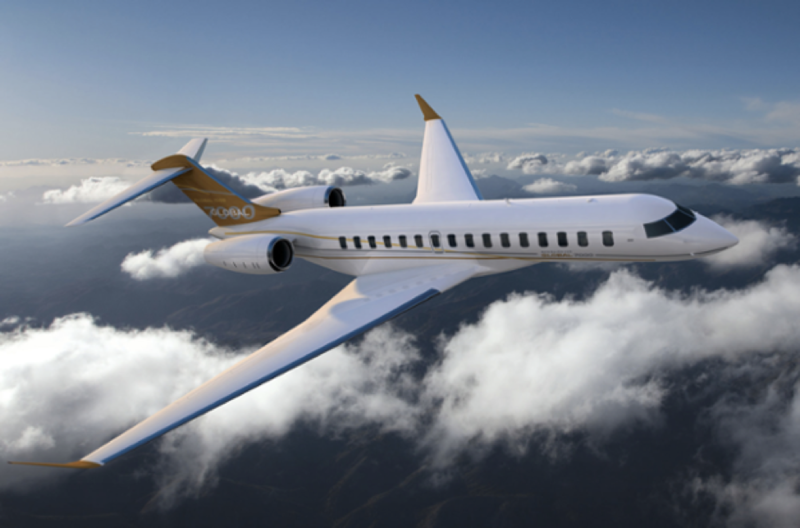 Although the Global 7000 features an eight foot longer cabin than the G650ER, it has a shorter takeoff distance of 5,950 feet compared to the G650ER’s requirement of 6,299 feet to takeoff. The Global 7000 also features fly-by-wire technology that offers ultimate precision and control throughout any flight. Advanced avionics technology and superior aesthetics are also featured in the spacious cockpit. In the G650ER’s avionics suite, PlaneView II flight deck and Flight Management System are displayed across four large screens, optimizing pilot’s organization and proficiency. Both with exceptional long range and beautifully luxurious cabins, no passenger will be disappointed in either the G650ER or Global 7000. The choice comes down to what most fits your needs, whether they be personal or business. Which jet would you choose?